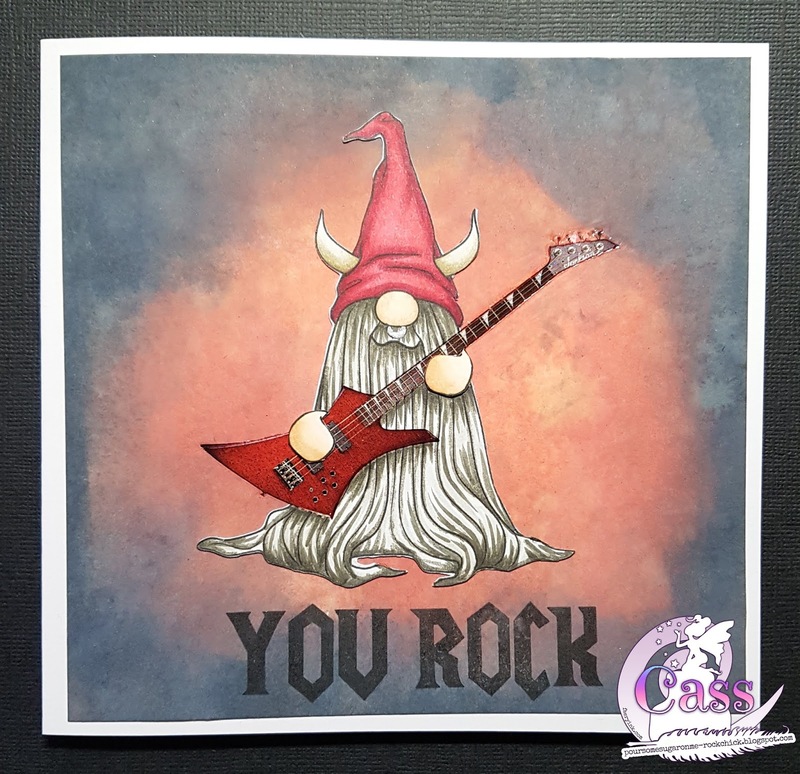 DT Cass here again with a twist on the Taurus Tomte digi stamp. It was a friends birthday a few days ago and like me he's a fellow Rocker. I absolutely adore Amanda's tomtes so as I was looking through them and saw the Taurus Tomte, the album cover of ACDC's Highway To Hell came to mind with Bon Scott on it with devil horns. 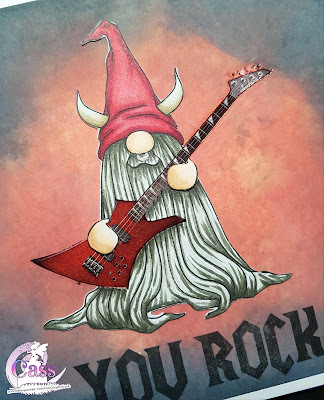 As the tomte also had a nose ring the idea of having him a rocker was born. Time to play with my Distress Oxides again. I'm loving using them. I inked with the Candied Apple direct to paper in the centre and then with the Black Soot around the edges. 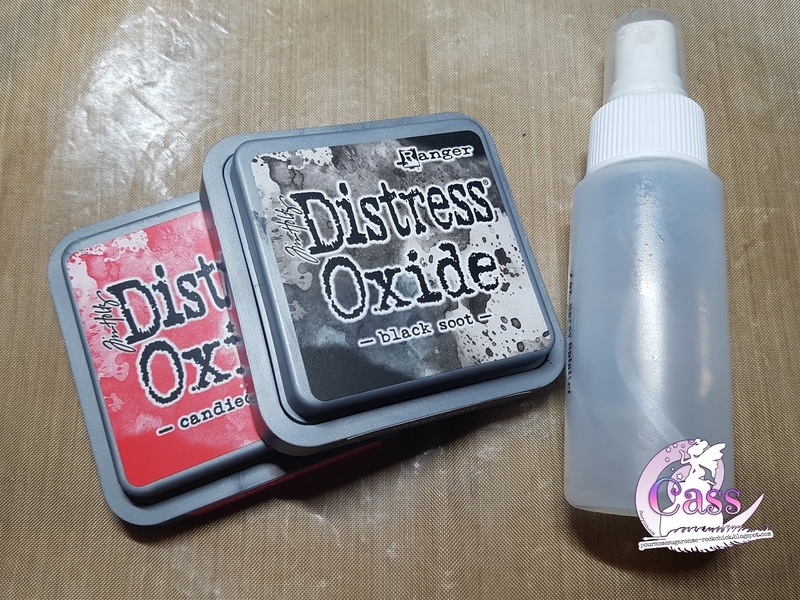 I then blended them together a little and then spritzed with water and left to dry. I love the effect it gave and it was just what I was wanting. I coloured him up with my copic markers giving him a devil red hat. 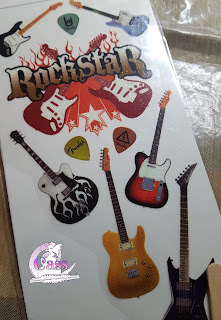 I had thought about having him play a guitar and searched through my craft stash and came across some guitar rub ons I've had for ages. Perfect for my tomte! I stuck him down on my card and placed the rub on in place and then used the lolly stick to adhere it. It was looking good so far but it would have looked even better with hands playing the guitar. I checked my other Tomte digi's and the Hearts Tomte was holding a heart.....with hands! Coloured them and stuck them in place. Masculine Graphic Tee stamp set. I was really pleased with the end result and my friend loved it, which was what mattered. Now I think he looks a bit like Billy Gibbons and Dusty Hill from ZZ Top! I'll need to ask Amanda nicely if she could draw an accessory set for the Tomtes now.